While examining alternative employment for tribals displaced by the Rourkela Steel Plant in Odisha, in a meeting on May 16, the National Commission for Scheduled Tribes (NCST) noted discrepancies in data given by plant authorities. The commission also directed Odisha state officials and executives of the steel plant to report on action taken on NCST’s directives, within a month. 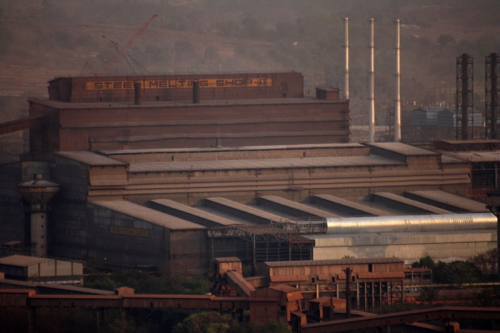 It asked the Union Ministry of Steel to constitute a high level committee under to investigate whether the land acquired for the steel plant was given to a private organisation and if government’s permission was obtained. The committee should also investigate that how much land is being utilised by the steel plant, NCST said. The commission took up the issue after petition from locals claimed that they did not receive due compensation or employment opportunities after their land was acquired for the steel plant. The meeting was presided by NCST chairperson Rameshwar Oraon. The commission found irregulaties in data given by RSP on employing those displaced because of the plant’s initiation. RSP authorities gave a list of 3,000 people who were employed under the category, but many of them were from other states and not displaced due to RSP. “It seems either RSP authority is not honest in giving the details of the displaced persons who were given employment or there was a racket in RSP in the name of giving employment to the displaced,” the NCST recorded. In 1995, the Supreme Court identified the list of 1,098 families who were eligible for rehabilitation, adding that the number cannot be extended. Of these, 700 were given employment while the recruitment process in ongoing in 129 cases, as per government data. Another 165 cases are pending due to lack of qualified candidates. Rourkela Steel Plant is a public sector enterprise, owned by Steel Authority of India Limited.